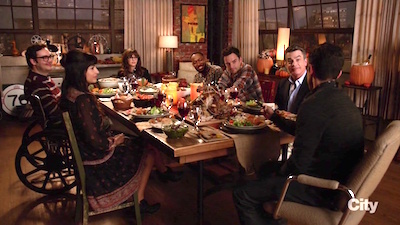 It's Thanksgiving and Jess and the gang are determined to make this year's festivities a success. 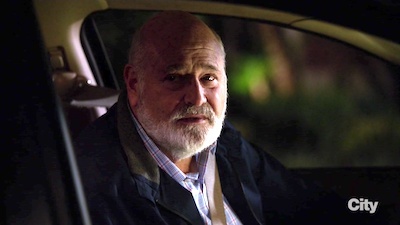 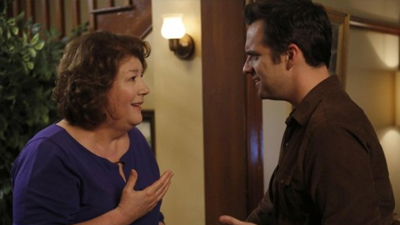 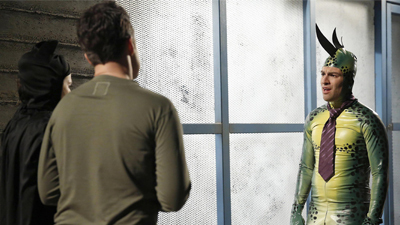 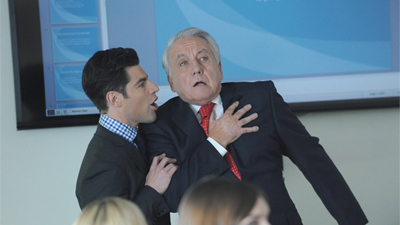 However, things don't go according to plan when Robby surprisingly shows up and Schmidt's dad arrives heartbroken. 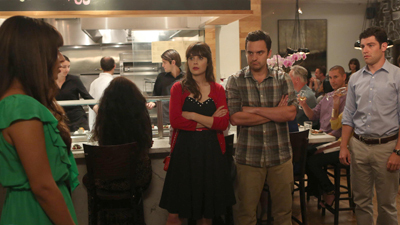 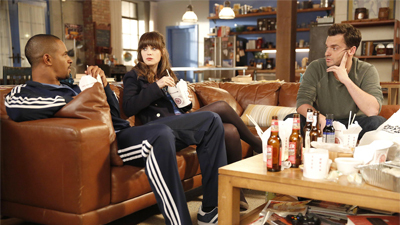 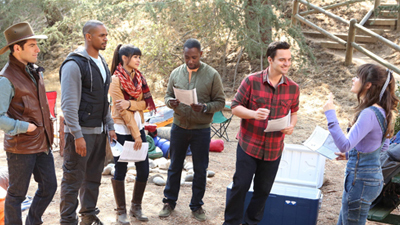 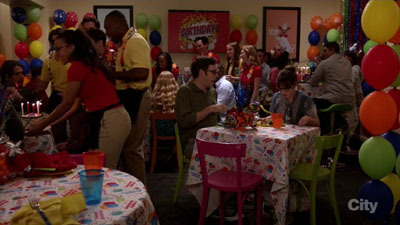 Meanwhile, Nick finds out that Regan is postponing her move-in date and Winston deals with his heroic injury. 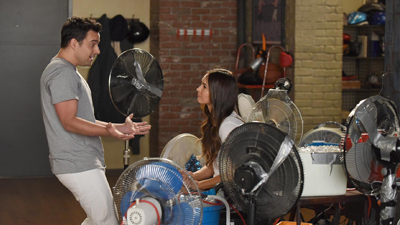 Jess struggles to keep the loft's Secret Santa afloat, while helping Reagan plan a Christmas surprise for Nick. 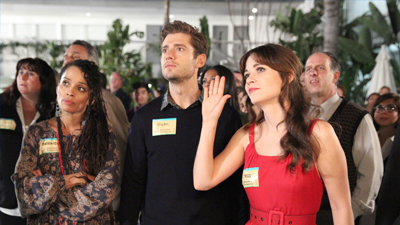 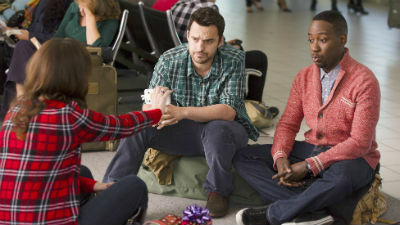 When Winston believes his gift for Cece won’t be delivered in time, Winston and Schmidt go on a mission to track it down. 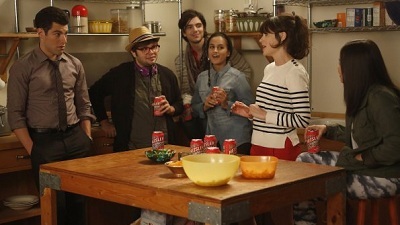 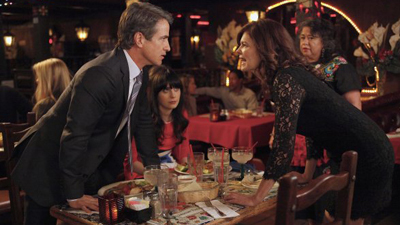 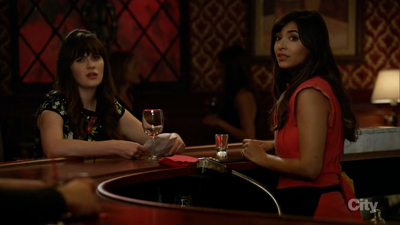 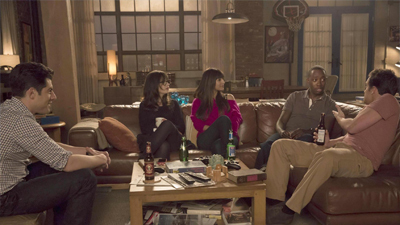 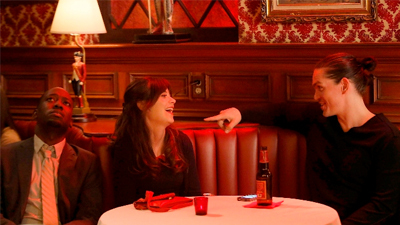 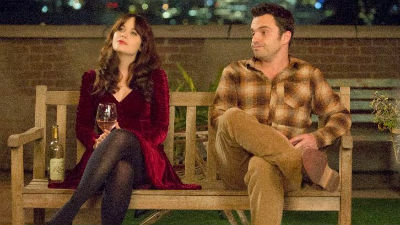 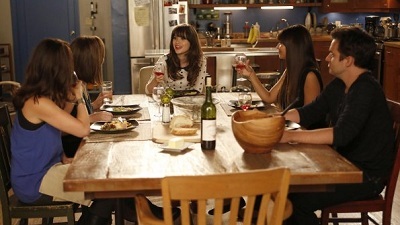 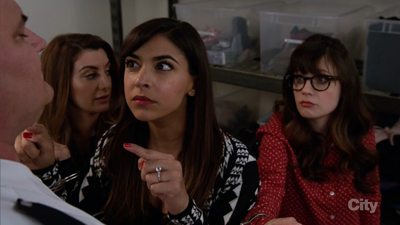 On Valentine’s Day, Jess tries to convince the gang that she is perfectly content being single. 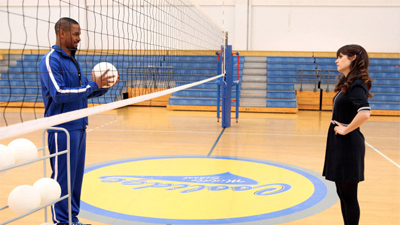 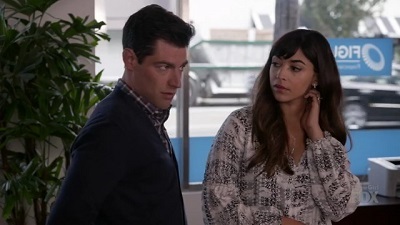 Meanwhile, Schmidt competes for a big promotion and Winston’s proposal plans to Aly are expedited. 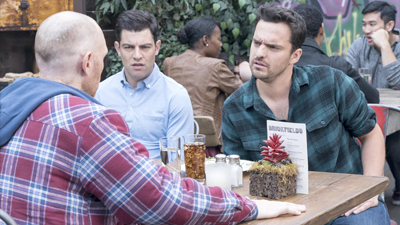 When Jess gets nervous about starting her new position as principal, Nick and Schmidt decide to take her on a relaxing day trip to Solvang, which quickly goes "sideways." 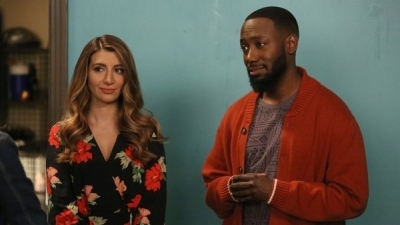 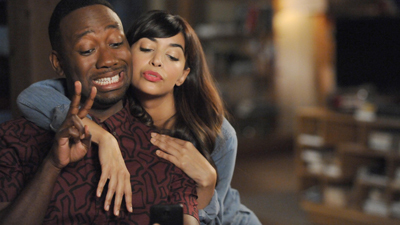 Meanwhile, with Cece’s help, Winston tries to finalize his divorce from Rhonda, but finds that he and Aly are caught in a series of never-ending pranks. 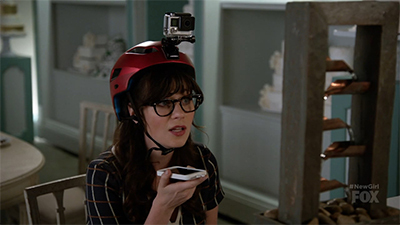 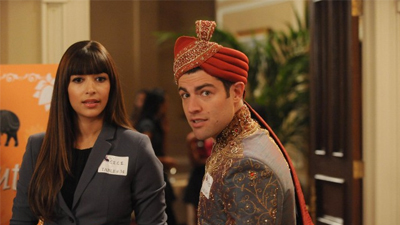 When Cece and Schmidt ask Jess and Nick to be their Maid of Honor and Best Man, respectively, their first task is to plan the engagement party. 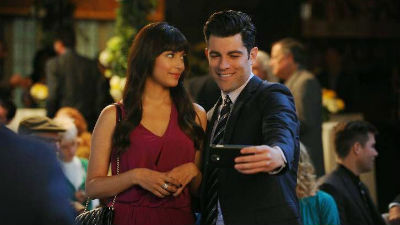 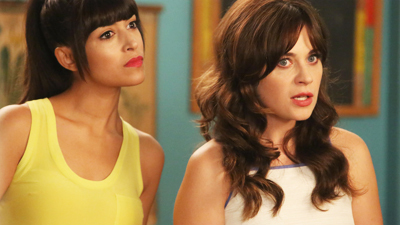 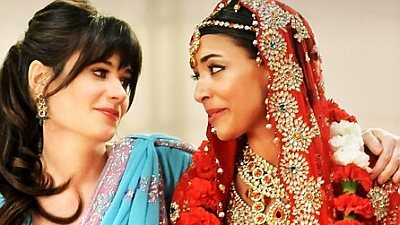 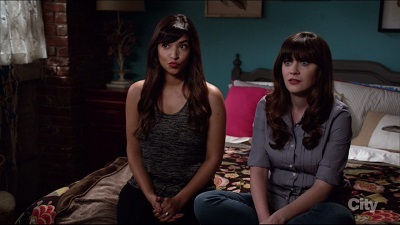 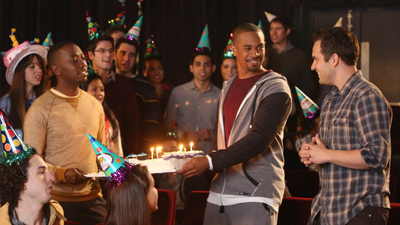 But when Jess invites Cece’s mom to join in the celebration, Cece is forced to make a surprising announcement to Schmidt. 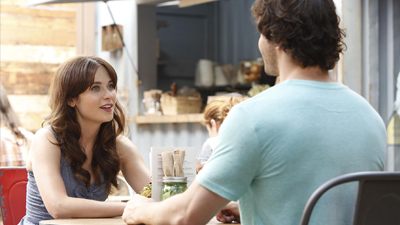 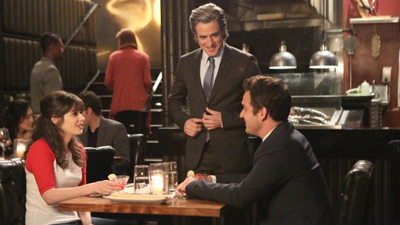 Jumping back into the dating pool, Jess finds herself dating a dud, but falls in love with his perfect parents. 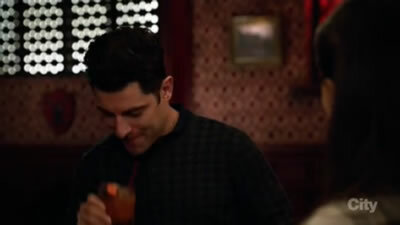 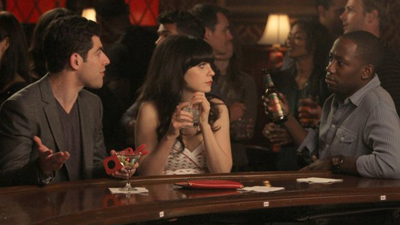 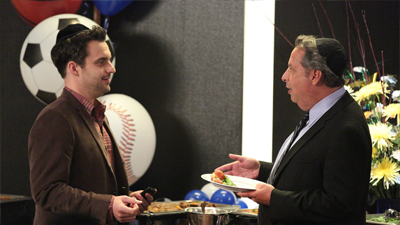 Meanwhile, Nick and Schmidt have very different ideas about how to run the bar. 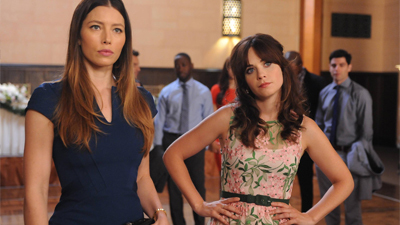 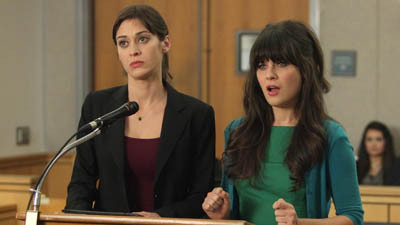 Jess eagerly reports to jury duty, until she discovers she may be up for a work promotion. 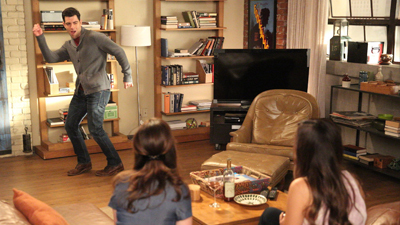 Meanwhile, Nick reaches his limit with Cece’s messiness in the loft. 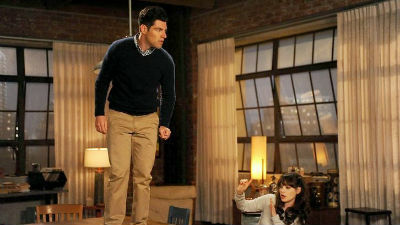 With Jess sequestered at jury duty, Nick turns the loft into an air b-n-b in order to help pay for Schmidt's upcoming bachelor party. 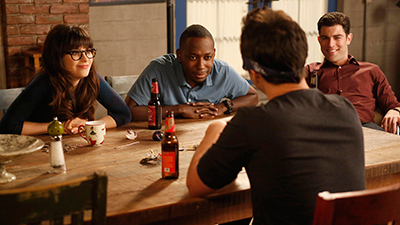 Meanwhile, Winston asks Cece for help when he suspects KC is cheating on him. 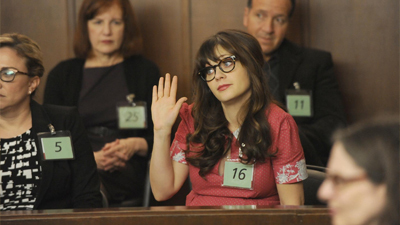 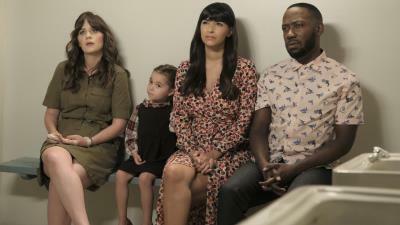 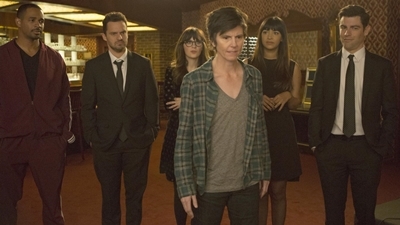 Jess returns from jury duty and attempts to uncover the real identity of a juror sequestered with her. 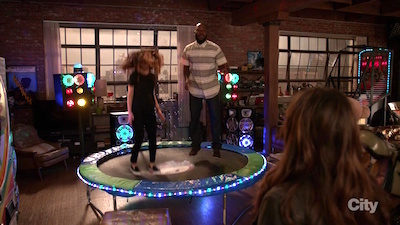 Meanwhile, Reagan prepares to move out of the loft and out of Nick’s life, and Winston and Cece help Schmidt get over his fear of public dancing. 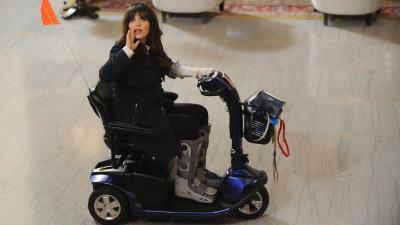 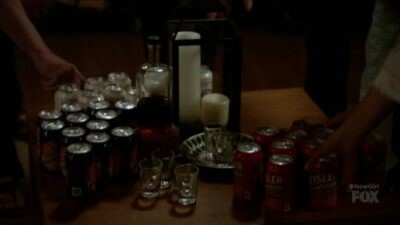 It’s time for Cece to move into the loft. 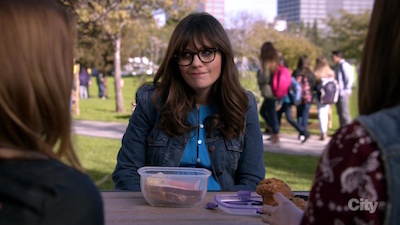 While Jess is helping her friend move out of her beloved apartment, she has to finish the school’s budget by morning, which the new principal has neglected to tell her. 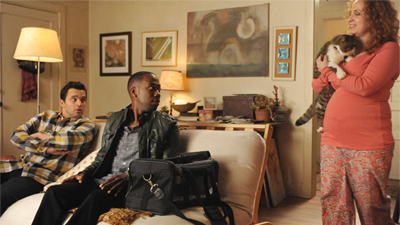 Meanwhile, Winston gets a new partner to avoid having to work side-by-side with Aly. 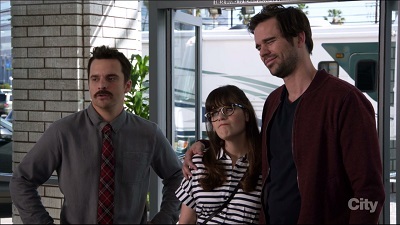 Jess invents a male alter ego, “Jeff Day” in order to buy a new car from a sexist salesman, but her plan backfires when both Nick and Sam arrive at the dealership pretending to be him. 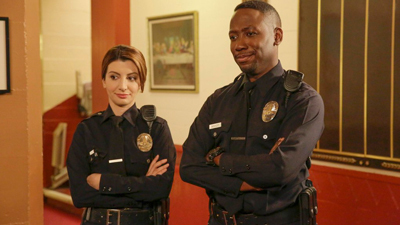 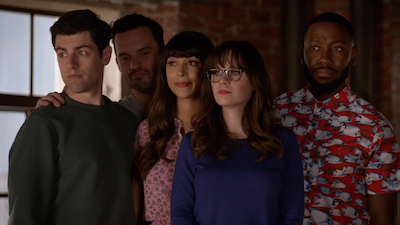 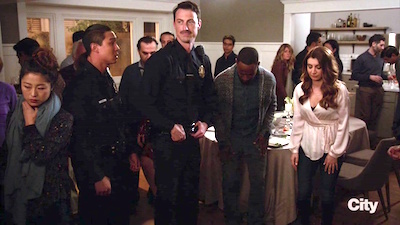 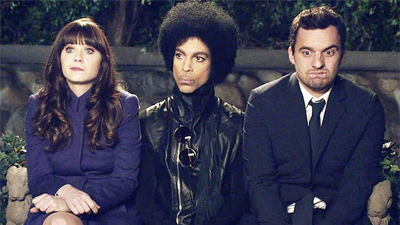 Meanwhile, Schmidt and Cece panic when Winston decides to bring his new prankster girlfriend, Rhonda as his plus one to their wedding. 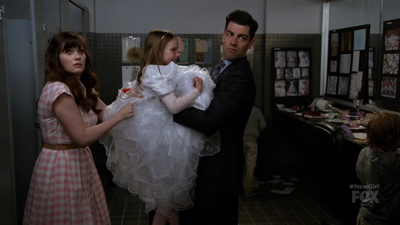 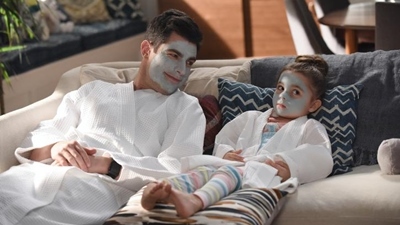 Schmidt makes a last ditch effort to convince Cece’s mom to come to their wedding, but in doing so, he might miss the special day himself. 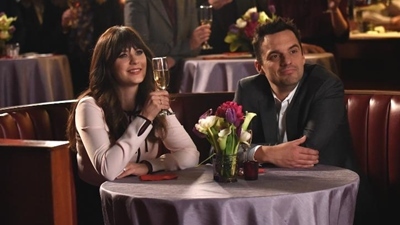 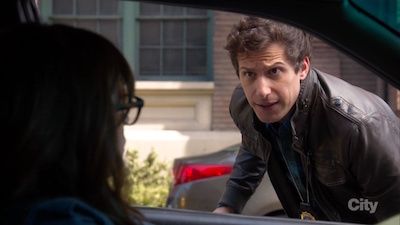 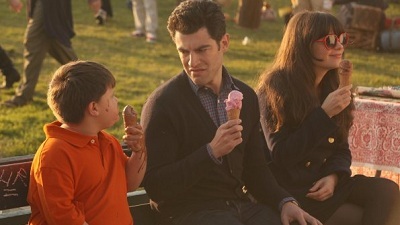 Jess and Nick discuss their relationship; Schmidt pretends to be one of Mitt Romney's sons in hope of landing a date with a beautiful Republican. 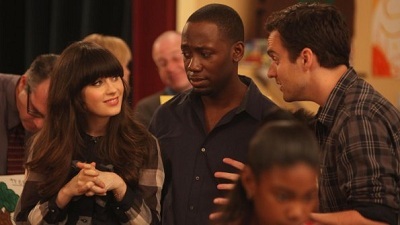 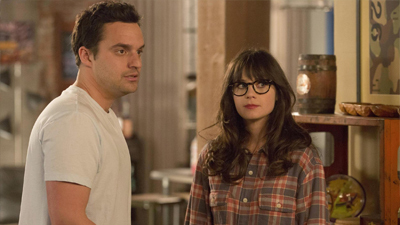 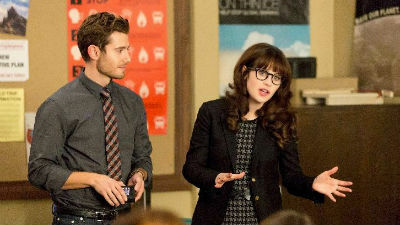 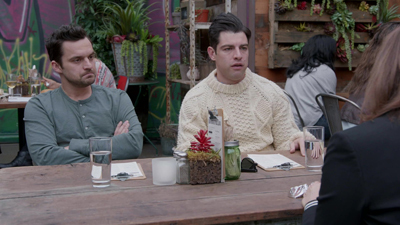 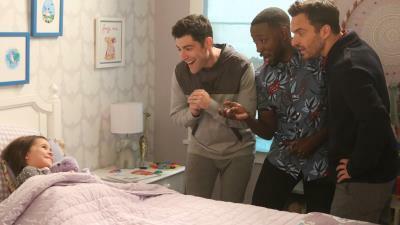 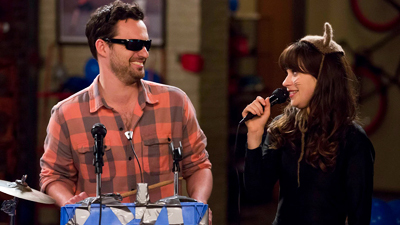 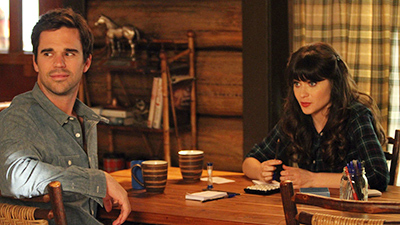 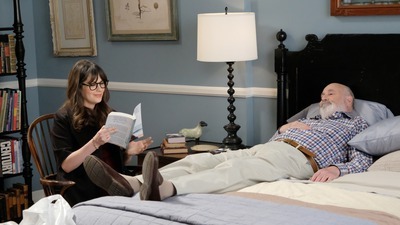 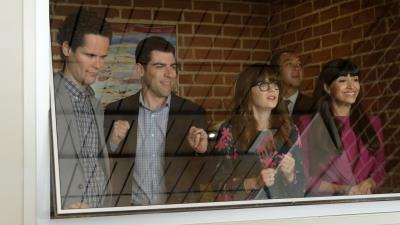 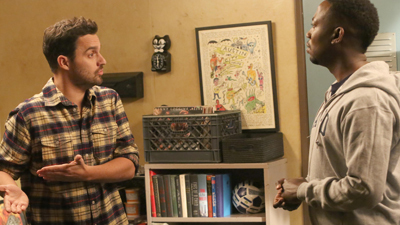 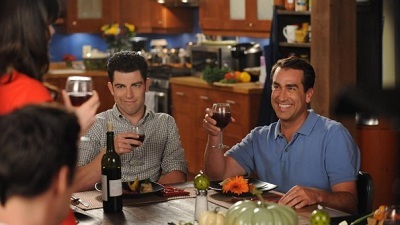 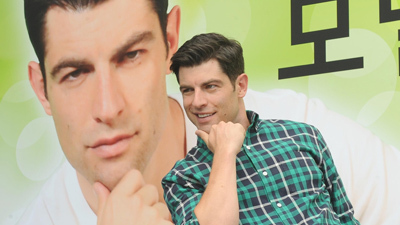 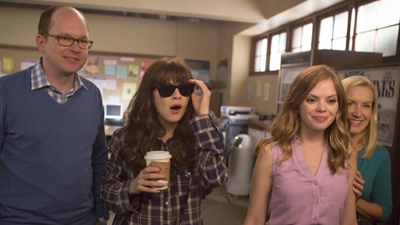 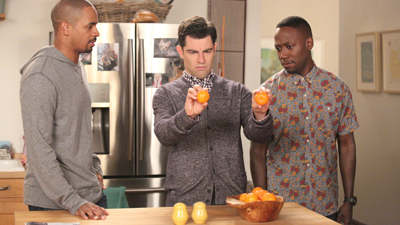 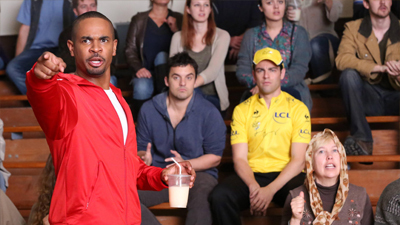 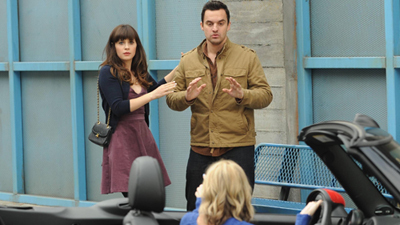 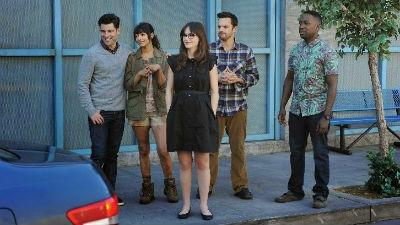 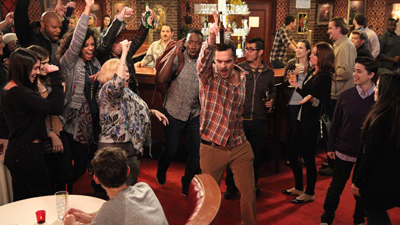 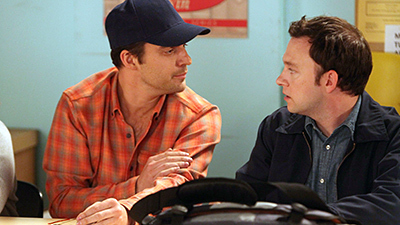 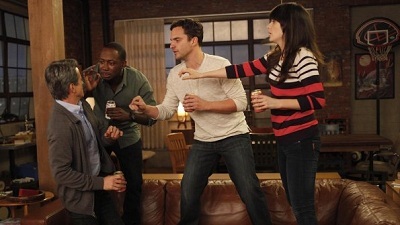 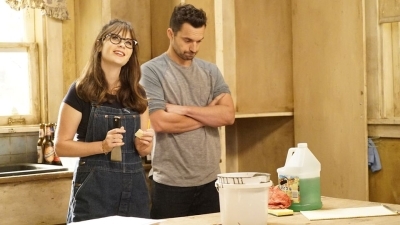 Jess and Schmidt are determined to befriend their new, young neighbors; Nick plays a series of pranks on Schmidt. 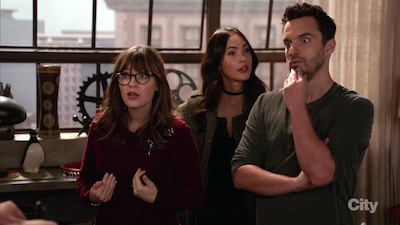 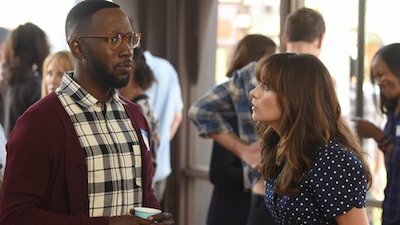 When Nick is convinced that one of Jess' students is hiding a nefarious secret, he goes undercover in her adult night school class. 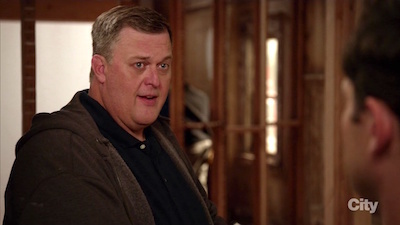 Meanwhile, Winston has an embarrassing encounter with Cece, causing an examination of all the loft-mate's peculiarities. 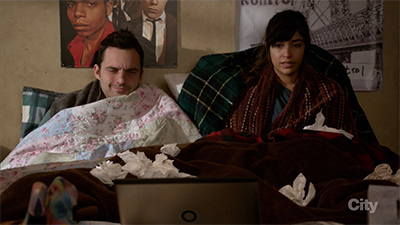 Jess comes to a conclusion about her romantic feelings for Nick and she struggles to tell him - until she's hopped up on pain medication. 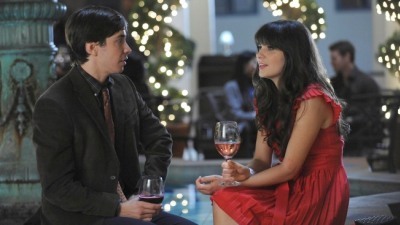 But after admitting her feelings, she finds out he may have been keeping something from her. 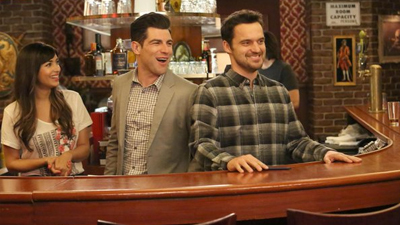 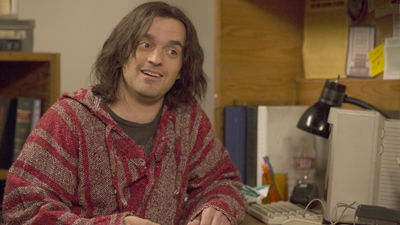 Meanwhile, Schmidt becomes obsessed with buying a fish, which Winston sees as a metaphor for Schmidt's unresolved feelings toward Cece and Nick plans a bar promotion to impress the bar owner.